Using ZAP during the development process is now easier than ever. We are proud to present the Jenkins plugin, it extends the functionality of the ZAP security tool into a CI Environment. The ZAP Jenkins plugin makes use of the readily available and diverse ZAP API, allowing you to use the same session files and scan policy profiles between ZAP and the Jenkins plugin, so they can be interchangeably loaded. Automate the site mapping process with a selenium script, have ZAP act as an intercepting proxy to map the structure of your site and record passive alerts. Fire off an active scan and finish it off by generating a report in one of three available formats (xhtml, xml or json). These can be sent off to management or you can load the session later and inspect each raised alert at your convenience. All while giving you all the benefits of Jenkins to automate the process. Scan between build and deployment all from taking advantage of the automation server. We plan to extend the authentication method to allow authenticated AJAX Spider Scans and support HTTP/NTLM Authentication. To further the continuous integration process, we will be adding Build Management tools in the near future which will allow you to set the thresholds that will determine a builds pass or failure. But we’re not stopping here, we will be continuously advancing our API to meet the needs of community requests for the Jenkins Plugin. We will work with our community, taking advice and feedback to improve and support this plugin in the short and long term. ZAP is, as it always has been; one of the largest open source security software. As such this plugin follows in its footsteps. We hope it will become one of your favorite additions into your development lifecycle. We hope to expand this project and open it to community involvement, we welcome you; the community members to help us maintain and improve the plugin and we thank you for your continued support. Documentation: See the Wiki for more details. Questions: Ask on our Google Group. 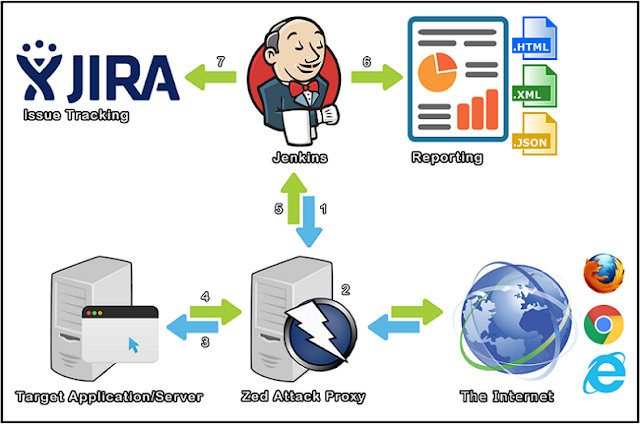 Issue Tracking: Report on the Jenkins JIRA for the project, please read the JIRA guidelines before reporting an issue.